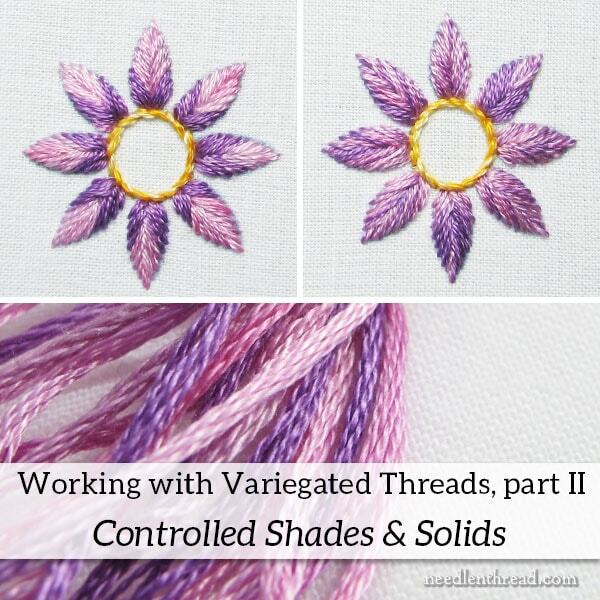 In the second part of her two-part article, Mary Corbet covers two more techniques using variegated threads. The first requires more thought (and some careful cutting) but gives you tremendous control of color. It is related to the method of color matching ends I use most often. The second is a needle blending technique with variegated and solid threads (similar to this technique). You’ll see how she does each process with a flower embroidered on fabric and learn how to do them yourself.